In 2019, we will be celebrating our 20th year on the Internet. When we look back to June 25, 1999, the digital world was a lot different compared to today. So, we wanted to bring our website up to todays world with many new and exciting changes. To begin, the "Nostalgia Page", which is what brought this website into being, is still present and will be greatly expanded with more up-to-date data. With the help from site visitors providing photos, images have expanded ten fold. The popular "Then & Now" series and videos have expanded, with a new feature using "Simulated Drone Flights" of historical areas. An important item to mention is the era which the website covers. Instead of the middle decades, it now covers 1900 to 2000 +/-. 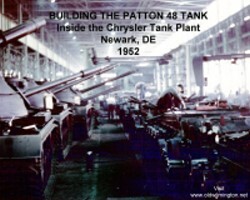 As promised, a complete pictorial history of the Newark Chrysler Corporation, showing many scenes from inside the assembly plant during the construction of the new Army Patton 48 Tank. Also, a complete photo history of the DuPont Airfield that became the All American Engineering Company. The main portion of the OldWilmington Website that supplies its visitors with historical background is the vast amount of data provided through the Nostalgic Topics. Here, you will find many ansewers to your questions about OldWilmington's past. Along with "Then and Now" photos, you will find just about anything pertaining to Old Wilmington. 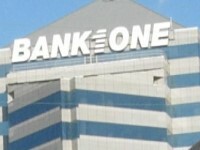 The changing skyline of Wilmington will be told in pictures. Quick selections to the most popular pages are listed here. Material on this website is provided for enjoyment, review and informational purposes only and not for any commercial gain. Use of this material is not intended as a copyright infringement on any of the owners or any other entity's copyrighted material. Please realize that all links are maintained by other people, so we disavow any liability on the content of those pages and for their copyright infringement. If you hold copyright to any material contained on this site and wish its removal, please contact Webmaster. Provide proof of your right to demand removal. If verified, material will be removed immediately. Many of the photos & graphics for this website were submitted from this sites' viewers, from either their personal collections or copyrighted and non copyrighted sources. Credit is given to photos where the source is known. If you are aware of a photos' source and wish credit given, please contact Webmaster. All nostalgia information submitted by this sites' viewers either as a nostalgia topic addition or as an entry made on any of this sites' forums become the sole property of this website. Original Photos, along with the backgrounds, images and page designs are not to be used or copied without expressed permission.